Rated line pull is based on the first layer of cable. 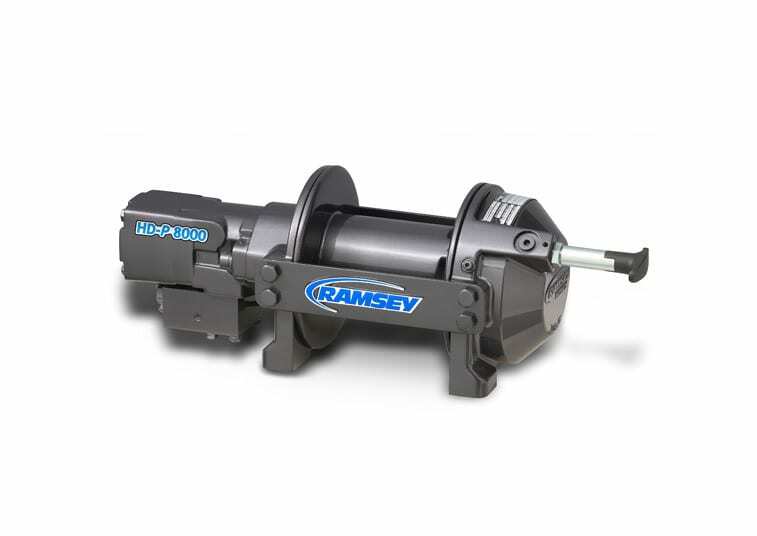 The Ramsey HDP 8,000-Y is an Industrial Hydraulic Planetary Winch developed to meet a need for increased line speed for vehicle recovery and other industrial uses. It features easy free spooling, single lubricant for all temperature ranges and it’s rugged, powerful, yet light weight. The HDP 8,000-Y has a short drum that holds 115 ft. of cable.